We left our accommodation after an early breakfast and started the long drive to our next accommodation Haus Sandrose in Luderitz, owned by the Loosers, yes that’s their name!! We travelled all along the B1 to Keetmanshoop and after filling up the car (we did this a lot!) 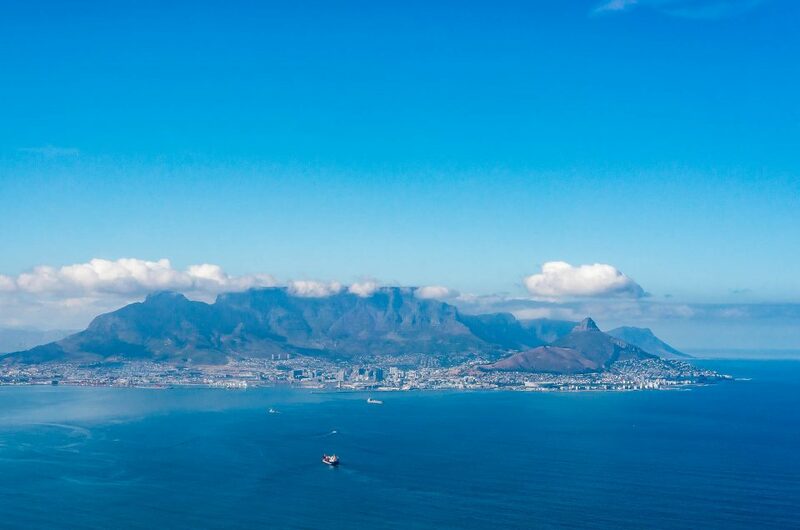 we picked up some waters and turned onto the B4 which would take us straight to Luderitz. After what was a few hours of nothing but a straight road and the odd car we made it to a little town called Aus. 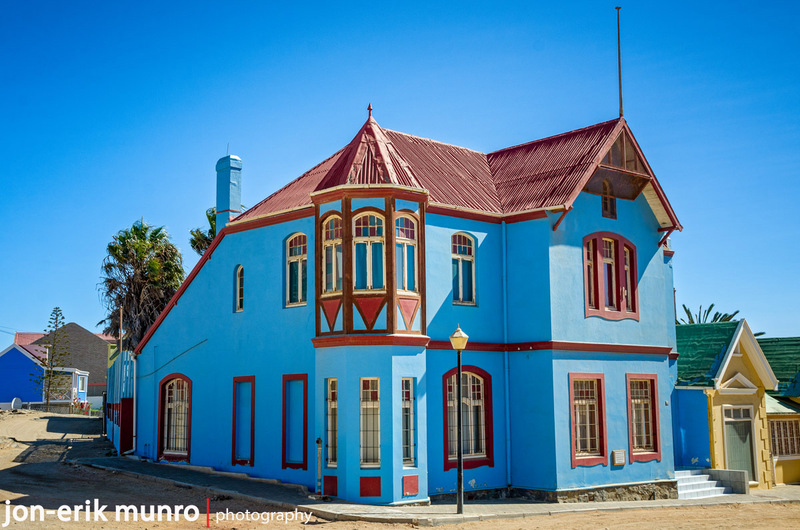 This town played a vital role in the development of the railway line between Luderitz and Keetmanshoop. In 1906 after the railway line was completed Aus became quite a hub with two hotels. We stopped for a quick toasted sandwich at the Bahnhof Hotel. After leaving Aus we headed out back along the B4 and soon drove over a cattle grid which meant we must be entering the area where the feral horses roam. Not long after we found the turn off to the Garub watering hole where there is a viewpoint for seeing the horses. When we arrived there were only a few Ostrich and two Oryx. There was another family there who told us we were about 10 minutes too late because a large group of horses had already come and gone. We decided not to waste too much time so we continued on as we still had a few more hours on the road before we got to Luderitz. About 10 minutes from the watering hole we were lucky enough to spot a few feral horses just standing on the side of the road, an amazing experience. 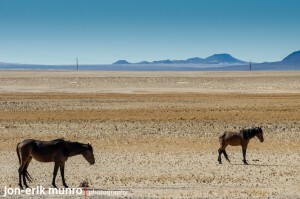 The origin of the feral horses are thought to have stemmed from the period of 1915 to 1925 when during World War 1 South African troops were stationed near Garub with about 6000 horses. The German forces at the time occupied Aus and one morning a German pilot flew over the South African camp and dropped bombs which caused the horses to flee because of the noise. The South African forces did not have enough time to catch the frightened horses who ran into the desert. The wild horses of Garub. 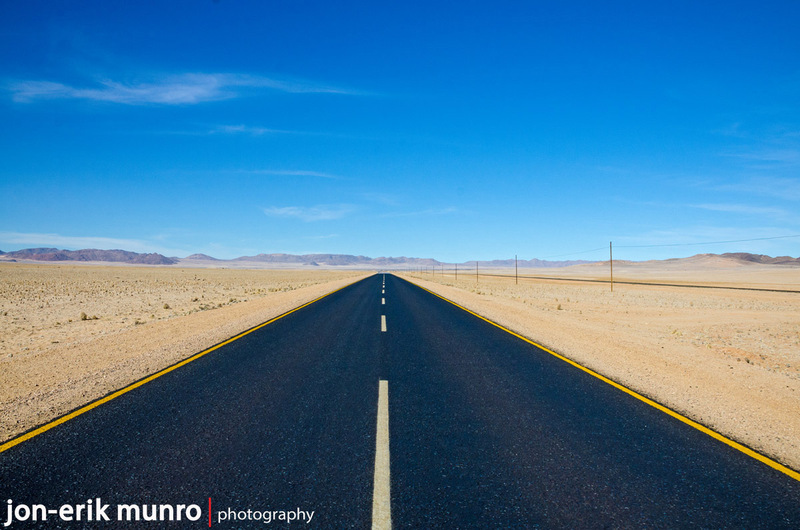 As we drove on it was interesting to see how dramatically the scenery changed as we drove to Luderitz. Before we knew it we had sand dunes on either side of us, and we were finally greeted by the Luderitz sign on the mountiain. We had arrived at our next destination. 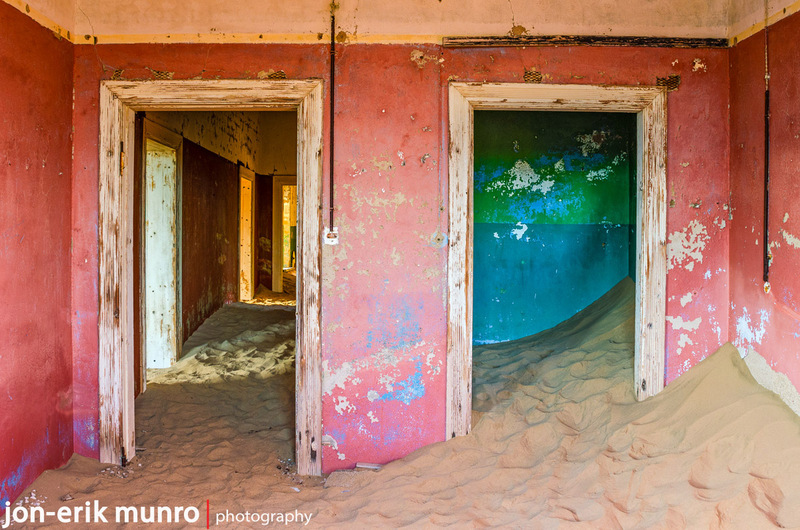 After checking in at Haus Sandrose a little self-catering place on the main street we took a walk down to Luderitz Safari and Tours were we organised our photo permits for Kolmanskop the next day. 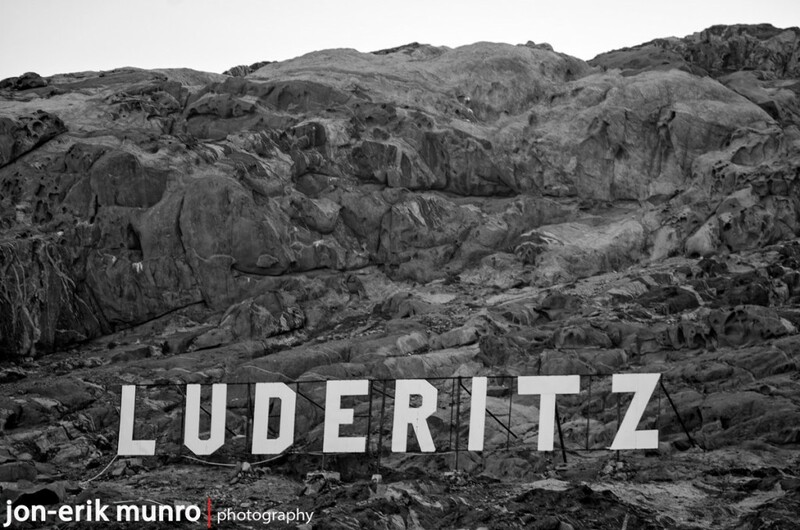 Luderitz even has it’s own Hollywood sign. 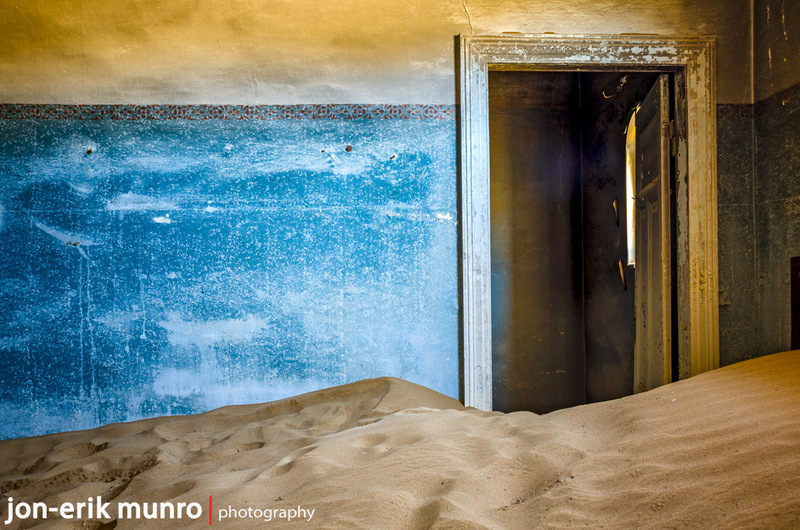 That signature Kolmanskop shot that everyone gets, that I wanted too. A 5:30 wakeup and a drive in the dark we parked our car outside the entrance to Kolmanskop making sure numerous times that our pink permit was still visible on the dashboard! We had strict instructions enter the through the creaking side gate. It was rather eery entering the ghost town so early in the morning. We were the only ones there apart from another photographer. The town was dead quiet apart from the rattle of corrugated roof sheets every now and then as the wind blew. 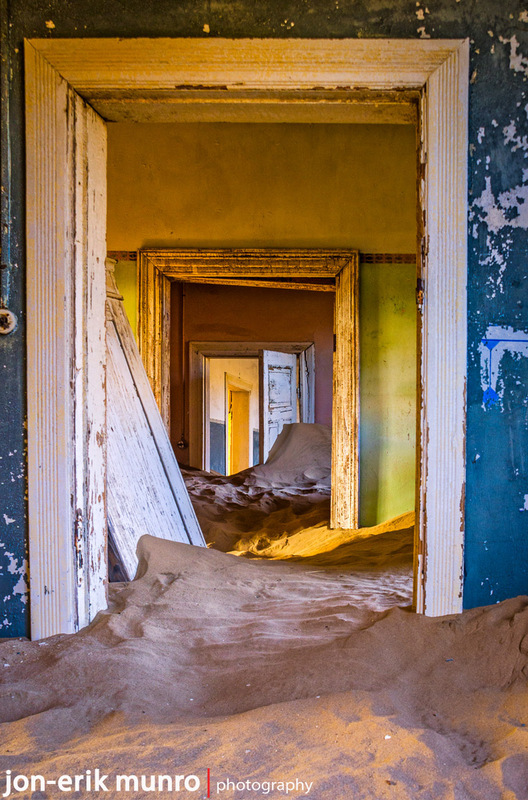 Kolmanskop was named after a transport driver, Johnny Coleman who, during a sandstorm left his his ox wagon on a small incline opposite the town. The town used to be a very rich mining village after a railway worker Zacharias Lewala found a diamond while working on the railway in 1908. He showed it to his supervisor, August Stauch. He tried to keep it a secret but soon it was realised the area was rich in diamonds. German miners began to settle in the area building the little village in the architectural style of a German town. They shipped all sorts of things from Germany including baths, doors and even the sand used to build the houses. 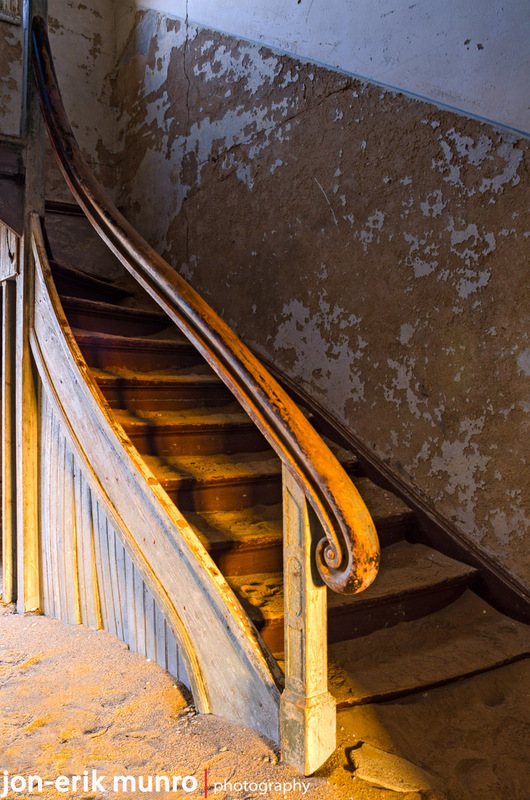 The village included amenities such a hospital, power station, school, bowling alley, ice factory and even had the first X-ray machine in the southern hemisphere which was used in the hospital but also to check if workers were trying to smuggle diamonds out of the area. An exterior view of one of the houses at Kolmanskop. The town declined after WW1 and by the early 1950’s it was completely abandoned. With the photo permit we were able to get there before everyone else and comeback after the gates had closed at 13:00. We were spoilt for choice as to which house to head into first. Some of the rooms in some of the houses were almost completely full with sand, but the bright colours of the walls against the brown colour of the sand made for fascinating photos. There were only a few houses that were out of bounds but all the others you could enter, either through the doorway or crouched through a window. One of the main things to take into consideration when photographing at Kolmanskop were the 1000’s of footprints. Next time I will definitely pack in either a spade or a rake. By 12 o’ clock were were getting hungry so we stopped for a bite to eat at the little coffee shop. We decided we would head back to Luderitz for a few hours then head back to Kolmanskop later in the afternoon. This would give us time to download images and see if there were any rooms we might want to go back to. 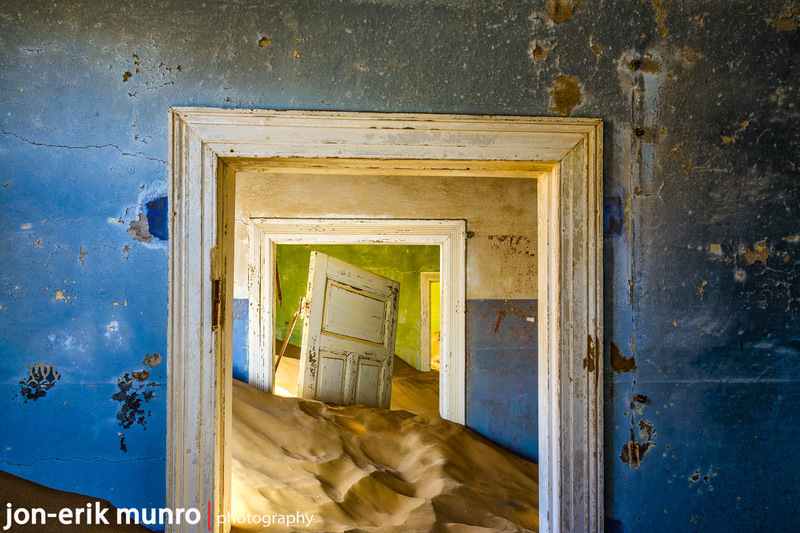 By the time we decided to head back, the wind was blowing a gale and Kolmanskop was almost not worth going back to because the sand was blowing everywhere and it would not be good to take our cameras out. We persevered with jerseys wrapped around our heads and found a few rooms we had not been into, we got a few shots but decided to head back to our accommodation. It was just too windy and unpleasant! Bismark street in Luderitz. Full of coloured houses. We had the whole of our last day to explore Luderitz. Unfortunately Haus Goerke only opened at 14:00 and the Felsenkirche at 16:00. 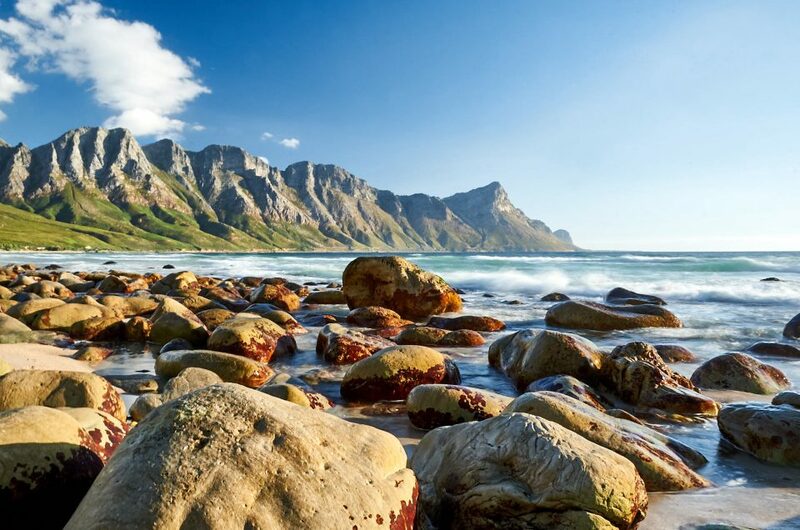 We took a drive to Shark Island which used to be cut off from the main land and was a concentration camp by the Germans during the Herero and Namaqua genocide of 1904-1908. Between 1000 and 3000 Herero and Namaqua men, women and children died at the camp. 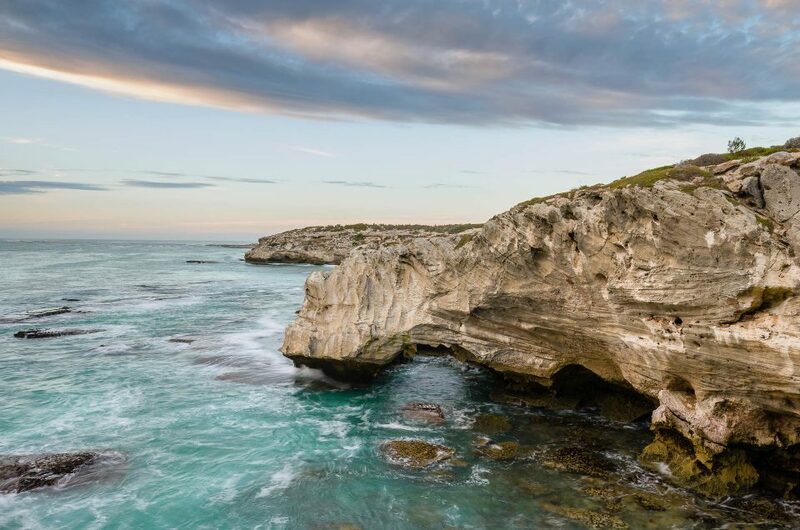 Shark island is now a popular camping site and is easily accessible by road. We then took a walk down Bismarck Street with the interestingly painted German houses. The bright blue house on the corner, Haus Grunewald was built in 1910. It was the home of the first mayor of Luderitz. It was one of the few buildings to be built using burnt bricks from the Western Cape. 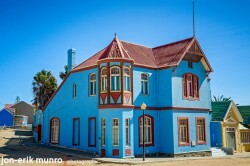 A colour house in Luderitz built in the German architectural style. Later we took a walk up to Goerke Haus which is an Art Nouveau styled house. It was built between 1909 and 1910 as a residence for Hans Goerke, head of Emiliental Diamond Company. In 1912 he returned to Germany leaving the house empty. In 1920 the Consolidated Diamond Mines of South West Africa bought the building and in 1944 sold it on and it became the living quarters for the local magistrate. Since 1994 NAMDEB have restored the building and it is used as a guest house for NAMDEB employees who are down on business. Just around from Goerke Haus is the Felsenkirche an Evangelical Lutheran Church. It is the highest placed building in Luderitz and you can see it when you arrive in the town. Just around from Goerke Haus is the Felsenkirche an Evangelical Lutheran Church. 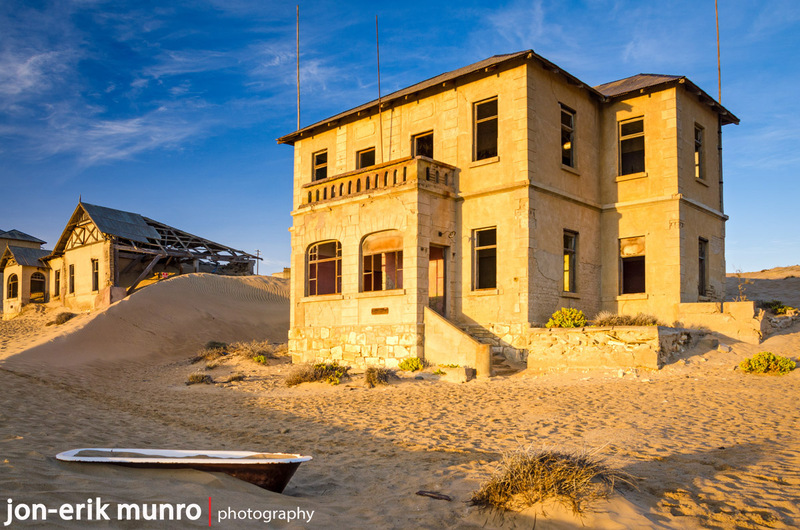 It is the highest placed building in Luderitz and you can see it when you arrive in the town. 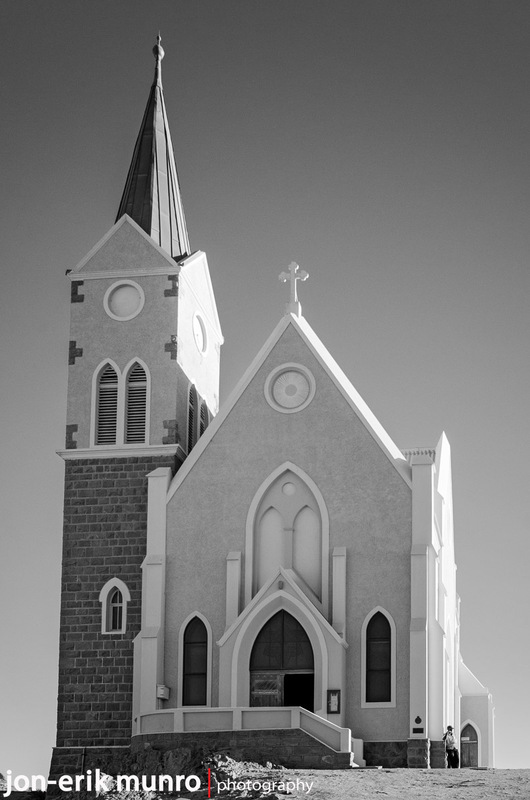 It is one of the oldest Lutheran churches in Namibia. The cornerstone was laid in November 1911 and the church was consecrated in early August 1912. 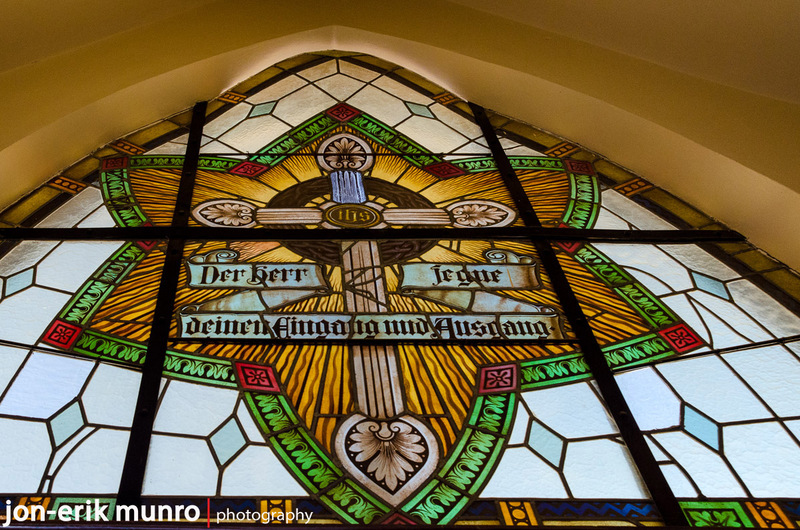 The church has the most remarkable stained glass windows, which were donated by Kaiser Wilhelm II. 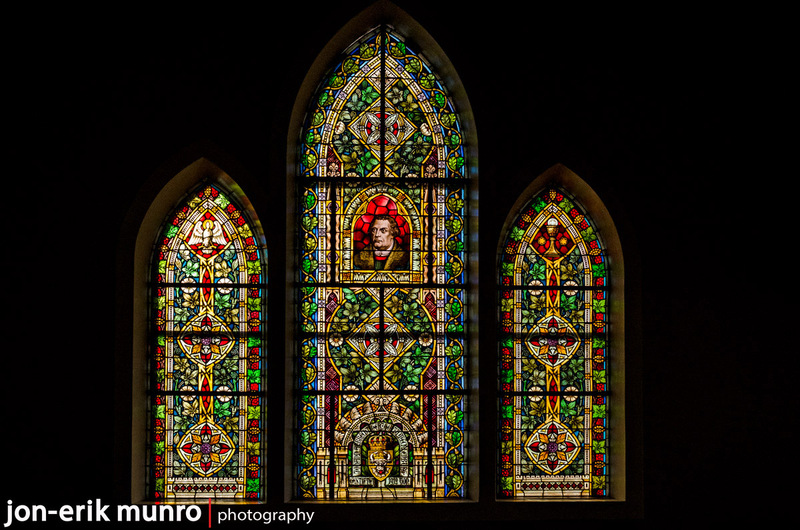 If you look carefully at the stained glass window behind the altar you can see his name as well as his family crest. His wife also donated the bible. The stain glass window above the entrance to the Felsenkirche, Luderitz. More stain glass windows in the Felsenkirche, Luderitz. 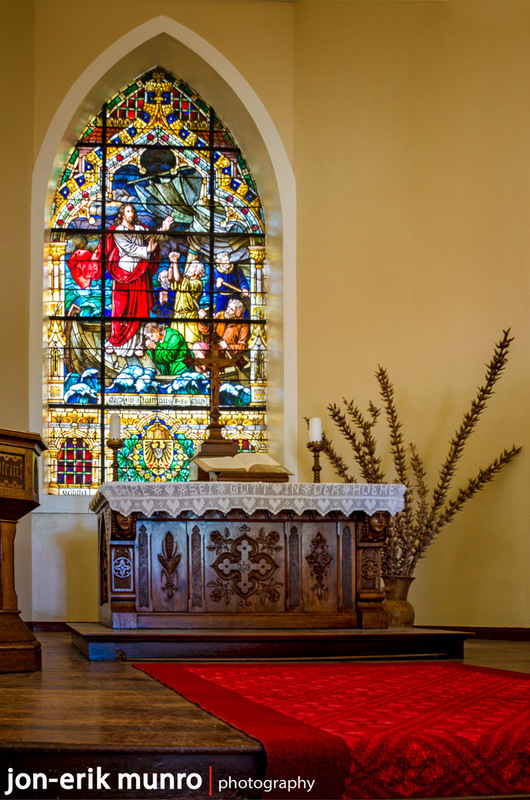 The stain glass window that was donated by Kaiser Wilhelm II in the Felsenkirche, The big bible on the altar was donated by his wife. 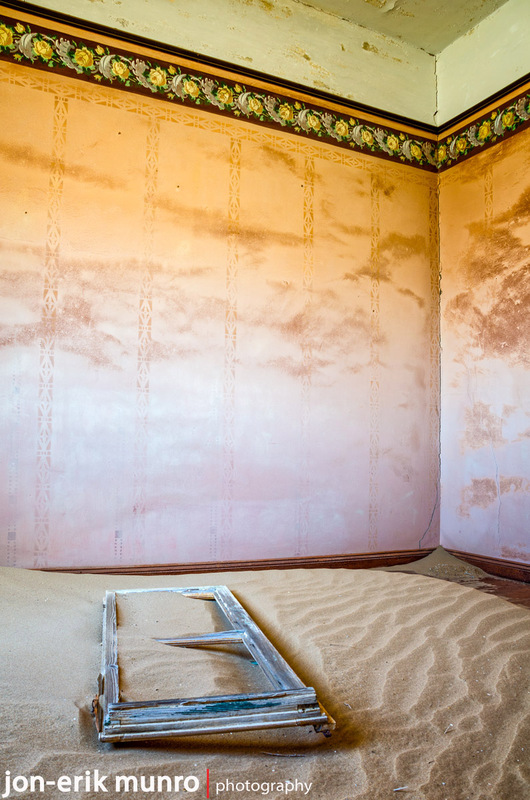 A broken window frame lies in the sand in one of the rooms at Kolmanskop. 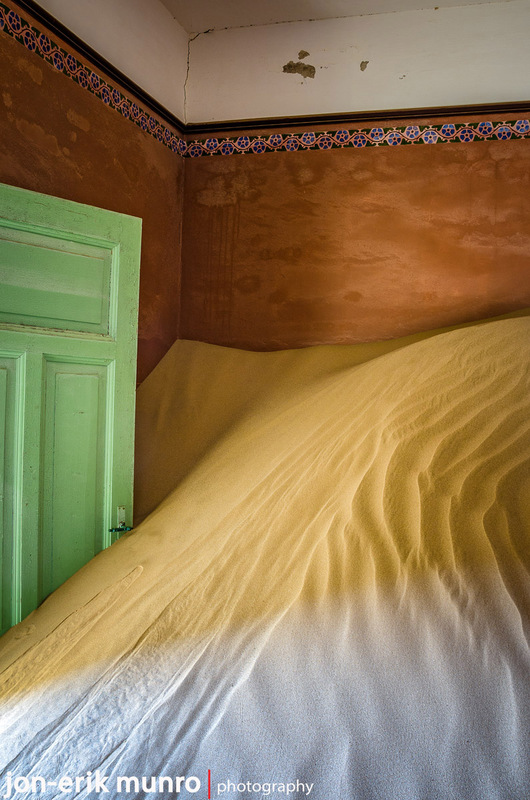 A room at Kolmanskop almost completely full of sand. 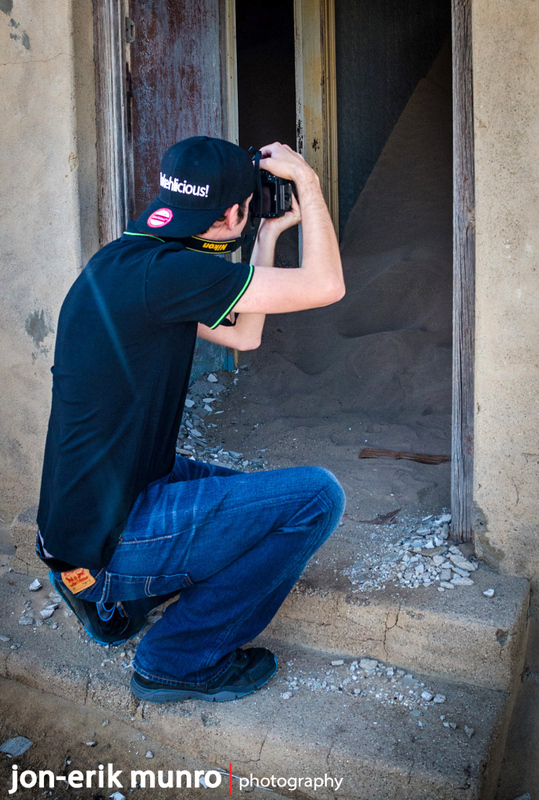 Michael photographing the interior of one of the houses at Kolmanskop. The old school teachers house at Kolmanskop.